Christmas market season has officially started in Germany! The market in Mannheim opened on Wednesday, and many of them open tonight, and will stay open until Christmas. The main market in Mannheim is just down the street from our apartment. I can literally see the lights, hear the music, and smell the food from our apartment door. It's a massive effort in self control to not head down there for dinner, a waffle, or a Glühwein (or, in my case, the non-alcoholic, slightly less satisfying, version) every single night. In case you are planning a trip to a local market, or taking a vacation to Germany to explore them, we wanted to share some tips with you that we have picked up. 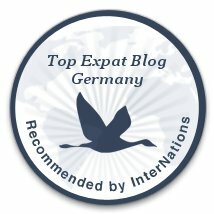 Check out this post for 10 markets to visit in Germany! Friday - Sunday are the busiest days. Sunday afternoon is probably the busiest, simply because in Germany, everything else is closed. What better way to spend a Sunday afternoon than strolling through the local market? If you are planning to do some shopping, try to go during the day in the middle of the week. The Weihnachtmarkt is much less hectic then, and you'll feel less rushed and frazzled. Definitely try the Glühwein. And the Feuerzagenbowle. Both are excellent options to warm yourself up! If you see something you like at a stand, buy it. Don't wait and think about it because it might be gone, or you'll have to fight the crowds again to go back and get it, neither of which are very fun. Try the food. And really, the smell will draw you in. German street and festival food is some of the best, and doesn't leave you feeling heavy and blah. Most markets, even in busy tourist cities, close promptly at 9. Some will stay open a little later on Friday and Saturday nights, but don't count on it. There are slightly fewer tourists earlier in the season. After the first couple of weekends, the number of people at the markets pick up and they get even busier. Many towns, no matter how big or small, will have a market. Some are only open for one weekend, others are open for the entire month. Just google ''Christmas Market + city name'' to get a good idea of the schedule, or check out our previous post about 10 Christmas markets to visit. Dress warmly and in layers. These are all outside, so you are in the elements. That can be rain, snow, sleet, wind, or, be quite warm in the sun. Hats, gloves, scarves, and a warm jacket are a must. Check the weather and plan accordingly. And in case you get cold, drink more Glühwein!